The UKSC as a policy making body? Earlier this year Jonathan Sumption in his FA Mann lecture heavily criticised the role of the Supreme Court judges, suggesting that judges too often strayed into the realm of political decision making, making decisions that would be more appropriately left to Parliament. Sumption’s speech and, more generally, the establishment of the Supreme Court itself have emphasised the need for closer scrutiny of the role of the court. But is the UKSC really involved in policy making, and if so how? A recent article in the New Law Journal, “Judicial Politics: Reigning Supreme”, New Law Journal (2011): 1671-1673, sought to provide some answers to this question through the study of the first 148 decided cases in the Supreme Court. The article was written by Ruth Aitken , Hannah Smallwood and Dr Lindsay Stirton, as part of the University of Sheffield’s SURE scheme. Through the study of the first 148 decided cases of the Supreme Court to the article explores the broader role of the Supreme Court and comes to the following conclusions. First, it is true to say that the Supreme Court is a governing institution which makes national policy decisions. But such decisions are made by and large within in a framework established by Parliament and executive government. Through analysis of not only the “big cases” but also the day to day work of the court the articles suggests that the Supreme Court exerts continuing influence over a wide range of policy issues. This continued control can be explained through viewing the Supreme Court as part of the machinery of government. Unsurprisingly the article raises questions about the accountability of the UKSC’s policy choices and its continuing constitutional role . Ruth Aitken is a final year undergraduate in the LLB programme at the University of Sheffield. The law journal article and the blog post would have been very helpful before I submitted my course work essay on the Separation of Powers …..sigh. 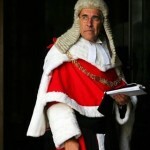 Leave a reply on "The UKSC as a policy making body?"